Potted plants for a cemetery memorial should be attractive, thrive on minimal care and tolerate dry spells. Cemetery maintenance employees may or may not be responsible for caring for graveside plants. Family visits can include some routine upkeep of containers, but potted plant need to look good all year without too much effort. 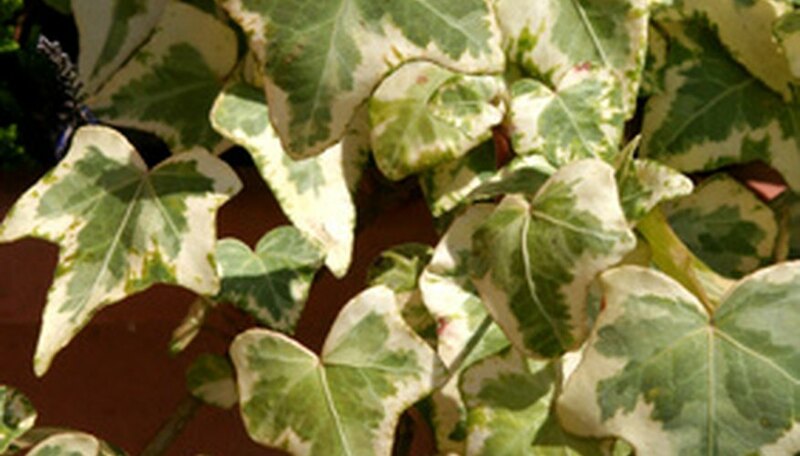 Variegated English Ivy (Hedera helix variegata) is a slow growing and generally non-invasive form of English ivy. This vine looks wonderful planted with taller ornamental plants, as it is evergreen and will cascade over the edge of the pot. It tolerates dryness once established, and grows in almost any potting mix. A light yearly pruning will shape this vine and keep it tidy. Most ivy varieties are hardy in USDA Zones 5 though 9, but prolonged cold weather will cause the foliage to die-back. Regrowth in spring will be rapid and healthy. 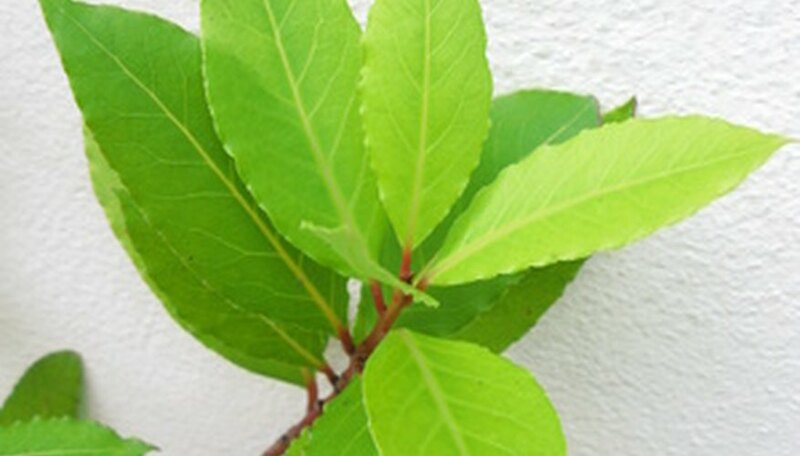 Bay Laurel (Laurus nobilus) is an evergreen shrub that can be easily pruned into an attractive tree form for containers. Although it is drought tolerant, bay plants in pots should be given regular water when they are young. The bay laurel is very slow growing, requiring re-potting after about five years. A mild fertilizer applied yearly will maintain the healthy green color of the leaves. It is hardy in Zones 8 through 10. In colder areas, remove the pot and store in a sunny area of the home or porch that does not experience freezing temperatures. New Zealand Flax (Phormium tenax) is a dramatic plant for containers. Tall, spiky purple foliage grows up to 4 feet tall. This is a good selection as a lone container specimen because of its size. Phormiums require a bit more water in the summer. There are a number of commercially available self-waterering containers that will keep this plant moist during hot spells. In very hot areas, phormiums can be grown in afternoon shade. Hardy in Zones 8 through 10, New Zealand flax will survive in zone 7 despite freezing to the ground. Removing the container to a warm area for the winter will allow this plant to be grown in most of the country. Maiden grass (Miscanthus sinensis 'Gracillimus' makes an airy background plant for containers. Delicate foliage is topped by plumed seed heads in late summer. Actual foliage color depends on the variety, ranging from silvery green to a light purple flush. Maiden grass should be grown in full sun for maximum health and color. Maiden grass is hardy in Zones 5 through 9. 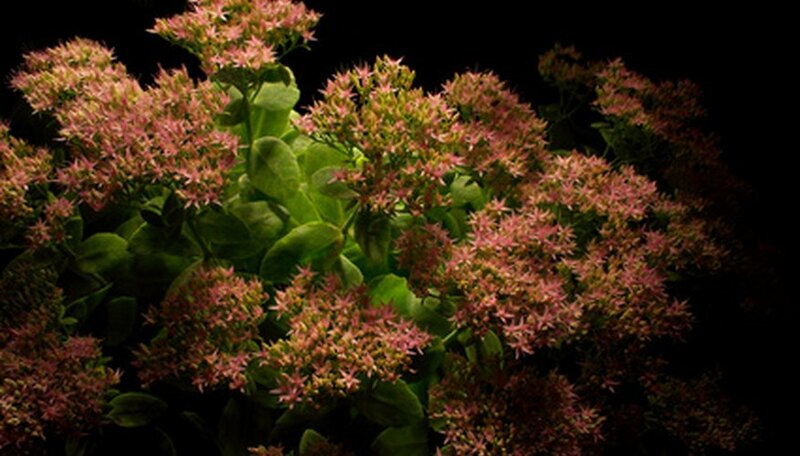 Sedums are a vast family of succulent plants. There are ground covers, low perennials growing up to 2 feet tall, and small clumping forms. All are exceptionally tough and drought tolerant plants. A pot can be planted with Sedum 'Autumn Delight' as a focal point, and 'Dragon's Blood' and 'Cape Blanco' as contrasting ground cover types. 'Autumn Joy' also has the advantage of attractive looking seed heads in winter. Most sedums are hardy in Zones 5 through 10. Some die-back can occur during very cold winters, but the foliage will grow again in spring.